You’re sound asleep when a fast-burning fire engulfs your home. Do you have smoke detectors to wake you so you can escape? Smoke detectors are very important products to have in your home or business to protect you and your family from dangerous fires. Fires can start for all kinds of reasons from cooking accidents to bad wiring and having reliable smoke detectors installed can be the difference between life and death. Smoke detectors are different than fire alarms. Unlike smoke detectors, which only screen for smoke, fire alarms also contain heat sensors and sprinklers. Fire alarms also have the ability to communicate with emergency services and call for help, while most smoke detectors are only able to alert you when they sense smoke and fire. Installing and maintaining smoke and carbon monoxide (CO) detectors can save your life. Luckily, they’re inexpensive and easy to install. Many people put off buying smoke detectors because they don’t know which ones to get or they say they’ll do it later. An alarming amount of the fires that occur yearly where people have been injured or perished have been reported to not have working smoke detectors in the home. We want to help you ensure that your home and family is safe by giving you all the information you need to choose the right smoke detectors for your home. Basic smoke detectors start at $15, with carbon monoxide alarms costing $35 and up. Newer models offer more features. For example, smart smoke detectors communicate between devices and provide integrated, whole-house protection. Whether the detectors are hardwired or wirelessly connected, with such a system when one detects smoke or carbon monoxide, all of them will sound. Even those living in all-electric homes should install carbon monoxide detectors, because CO can seep into the house from an attached garage or if a backup generator is used too close to your living quarters in the event of a power outage. A smoke detector is a special device that is designed to emit a high, piercing signal or voice alarm when smoke or flames is detected. It is important to get the right kind for your home. There are actually specific places in the home that certain smoke detectors perform better. We will tell you where those places are. You’ll need smoke detectors that detect flaming and smoldering fires for each bedroom, with at least one detector installed on each floor, including a finished attic and the basement. You should also have a carbon monoxide detector on each living level, in the basement, and near (not inside) an attached garage. Before you shop, check regulations in your region. What you need, including types of detectors and their placement, can vary. Which Type of Smoke Detectors to Goes Where? An ionization smoke alarm is the best kind to detect flames and actual fire. It works by using a radioactive element to ionize the air inside the detector. An electric current is inside the detector that is interrupted when smoke particles enter the chamber. Once the current is disrupted, it sets off the alarm. All of this happens in a surprisingly short amount of time. These types of smoke detectors are best at detecting the sometimes invisible smoke particles that can come from fast, flaming fires like grease fires and paper fires but in our tests, all tested poorly for detecting smoky, smoldering fires. Ionization units are prone to false alarms from burnt food and steam, so don’t mount them near a kitchen or bathroom. Can suit dustier areas, such as lofts, the area near your bathroom or rooms where people smoke. They shouldn’t be placed too near to kitchens because of false alarms. This type of smoke detector uses a small strobe light that remains on. When smoke particles are detected, the light is broken and the alarm immediately goes off. These units are more expensive than ionization smoke detectors but they are growing in popularity because they are much less likely to be set off by non-emergency situations. These units are better at detecting larger smoke particles that can be caused by clothing or bedding that catches fire and smolders before bursting into flame. Some fires that have started have actually smoldered for hours before bursting into flame. When you have photoelectric smoke detectors, they are much more likely to detect the large particles typical of smoky, smoldering fires before it gets to the bursting into the flame stage which can make a big difference in damage and injury. Though they are sometimes poor at detecting fast, flaming fires. Photoelectric units are less prone to false alarms from burnt food and steam, so you can install them safely around the kitchen or bathroom. Good for bedrooms, landings, and hallways, and near to kitchens as they aren’t as prone to false alarms from cooking. Not so good for dusty areas, such as lofts, or steamy areas such as bathroom landings. Dual-Sensor Smoke Detectors combine ionization and photoelectric technology to save you the hassle of installing two separate smoke detectors. These types of smoke detectors are actually the best kind you can purchase because they cover both ionization AND photoelectric sensing and covet the gambit of types of fires that can occur. Whether it’s smoldering clothing or a rapid grease fire, the dial units will be able to detect both types and that increases your safety. This is the most all-inclusive type of smoke detector to get, that provides the most coverage for your home. You can buy two separate types of smoke detectors, but having a two in one type saves space and money. But you will still need to install carbon monoxide detectors. 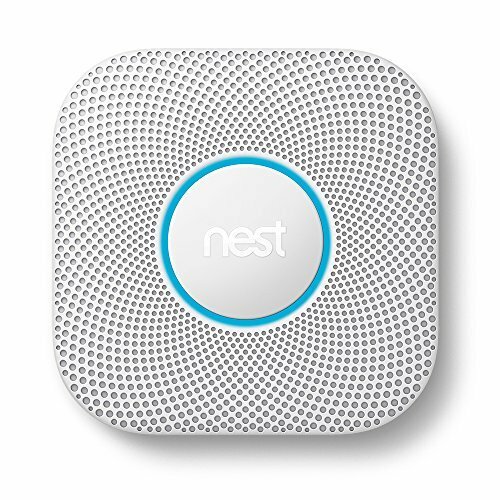 Currently, there is few single smoke or carbon monoxide detector on the market that does it all (Nest Protect). A few detectors combine ionization and photoelectric technologies to cover both types of fire, but they don’t detect carbon monoxide. And those that combine CO and smoke detection are effective for one type of fire, but not both. The latest smoke and carbon monoxide detectors have added features to better protect you and your family. There are several different features that smoke detectors must have to be considered as good choices for your home. When you’re researching smoke detectors check to make sure the ones you are considering have these features so your smoke detectors provide the best amount of protection for your home. Here’s what to consider when tailoring the safest combination of detector options to your household’s needs. Hardwired smoke detectors come with wires that hook into your home’s electrical system. Most come with a backup battery to prevent your device from becoming inactive. Hardwired smoke detectors are an extremely reliable option because the odds of losing power are low. Although, they require more installation knowledge or professional installation. Some smoke detectors come with pre-installed and built in 10-year lithium-ion batteries that can last for the lifetime of the smoke detector. Others might require AA or 9-volt batteries. Battery-only detectors are simple to install, and they work during a power failure, but most batteries require annual replacement. There are Plug-in detectors but electric outlets are typically located low on the wall, while the optimal placement for the detector is on or near the ceiling. Make sure that when it comes time to change the battery that you don’t have to struggle with how to do it. Many units have simple front loading battery compartments that don’t even require the unit to be taken off the wall. A backup battery for hard-wired smoke and carbon monoxide alarms offers security in case of a power failure. All battery-powered smoke and carbon monoxide detectors warn you when the battery is low. Some provide warning chirps, a low battery voice message, or a visual display. You can link some smoke and carbon monoxide detectors so that all units in the house sound an alarm when any single one is triggered. Any unit that is hard-wired into the electrical of the home can be part of an interconnect network of detectors. This means that when one goes off they all go off. Some battery operated units can have this capability as well. Some newer homes have wiring already in place to link the detectors. In a home without such wiring, you can buy detectors that interconnect wirelessly. These smart smoke and carbon monoxide detectors are an important safety feature in a home with multiple levels. A standalone detector may be adequate for a small, single-level home. This feature displays carbon monoxide concentrations in parts per million, even when the concentrations are below the level that triggers the detector. Carbon monoxide detectors certified by UL must go off at no less than 70 ppm, but as little as 30 ppm can harm heart patients, pregnant women, and children. The display can alert you if the carbon monoxide level is inching up or is higher than usual. Some also show the peak level since they were reset, warning you of any spikes that occurred while you were away. Expect to pay a little extra for this feature: $5 or $10 for standalone detectors, slightly more for smart detectors. To silence a nuisance smoke detector, pressing a hush button is more convenient than disabling the unit, and it avoids the possibility of forgetting to turn it back on. All the smoke detectors we tested had this feature. Some carbon monoxide and combination CO/smoke detectors can work with a remote control to silence a nuisance alarm. If you’re getting smoke detectors for a home of someone who doesn’t have good hearing or who is deaf completely, there are features available that can help. These include extra loud alarms, strobe lights and even pads that go under the sheets that vibrate in the event the detector goes off. Children tend to sleep deeper than adults and may not awaken to a beeping sound. 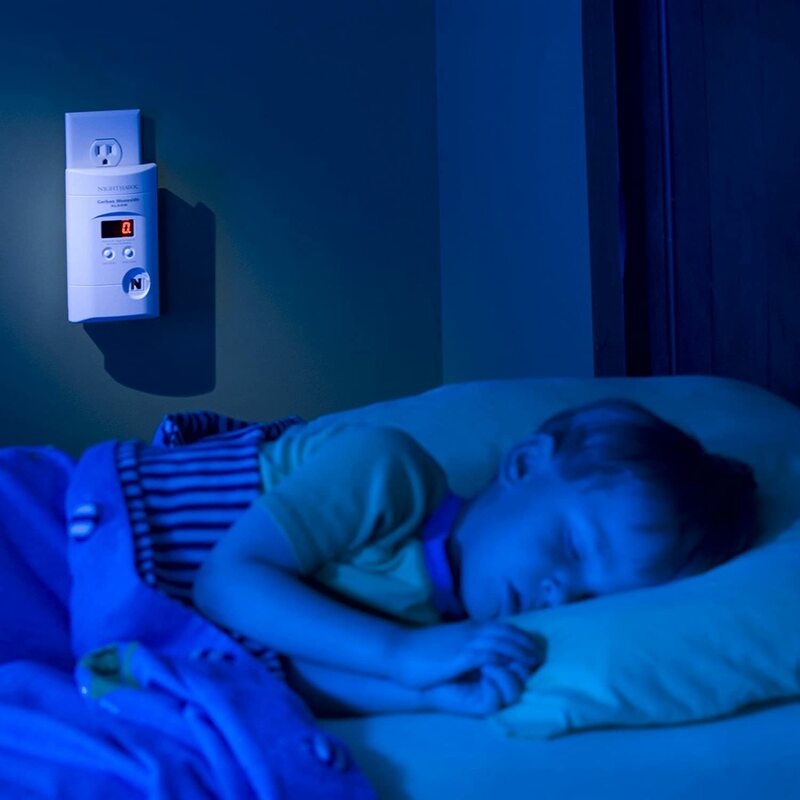 Some smoke and combination carbon monoxide and smoke detectors use a voice command, but it’s not confirmed whether that’s the most effective way to wake children. According to one study, many pre-teenagers who slept through tone detectors awoke to the sound of their mother’s prerecorded voice. Some smoke detectors activate a light that comes on when the detector goes off so that people can see enough to get out. This light works even if the power is off. It provides path illumination, a potential life-saver in the dark. You can incorporate some smoke and carbon monoxide detectors into a system that sounds an alarm outside and inside the house. It can also have a monitoring service notify the police or fire department or even call your cell phone. Lots of the newer models of smoke detectors have insect screens that prevent bugs from getting into them and falsely setting off the detectors. Make sure that the units you are considering come with good warranties. A smoke detector is not supposed to last forever but a good 5-10 year warranty is good. Most smoke detectors last anywhere from 5-10 years before they need to be changed. Smoke and carbon monoxide detectors are only protective when installed correctly and if their batteries are replaced annually. Check the package to make sure smoke detectors and carbon monoxide detectors meet Underwriters Laboratories Standard—look for the UL label. Also look up the date of manufacture printed on the back of the detectors. Devices lose their sensitivity over time, so the fresher, the better. Smoke rises, so mount smoke detectors on the ceiling or high on the wall. Test smoke and carbon monoxide detectors weekly and vacuum them monthly. Follow the manufacturer’s recommendations regarding battery replacement. Replace carbon monoxide detectors every five years and smoke detectors every 10 years. Carbon monoxide detectors should be installed outside of each sleeping area of a house, each level of the house, and in the basement. If your carbon monoxide detector is a plug-in model without a cord, it needs to be plugged directly into an outlet. Make sure the outlet is out in the open and not behind furniture, curtains, or other objects that could restrict air flow. Carbon monoxide detectors with a digital display should be mounted at eye-level so they can be read easily. If the CO detector is battery powered and doesn’t have a display, it can be mounted anywhere on the wall or ceiling except within four inches of where the wall meets the ceiling. Air doesn’t circulate freely at that level, which will delay the alarm response. Within 5 feet of any cooking appliance. Outside or in direct sunlight. Garage, kitchen, furnace room, or any extremely dusty, dirty or greasy area. Within 20 feet of a fuel-burning heat source (furnace), or fuel-burning appliance (water heater). Away from sources of high humidity, such as a bath or shower, sauna, humidifier, vaporizer, or dishwasher. If there are fuel-burning appliances in the laundry room or utility room, mount them in the room but as far away from the appliances as possible. Where the temperature is colder than 40˚ F or hotter than 100˚ F, including unconditioned crawl spaces, unfinished attics, uninsulated or poorly insulated ceilings. Near ceiling fans, heat vents, air conditioners, fresh air returns, or open windows. Blowing air may prevent CO from reaching the sensors. Carbon Monoxide Detectors are designed to work within certain tolerances for temperature and humidity. The reason for this is that a dangerous build-up of CO gas will often be trapped within a single level of your home. Your main living level might be quite safe, but you might go down to the basement only to receive a dangerous dose of Carbon Monoxide because you failed to have a detector there – don’t make this mistake. I recommend that you have a carbon monoxide detector within 15 feet of each bedroom door, 10 feet is even better if you can afford more detectors. If two bedroom doors are 30 feet apart or less, then place one in the middle. If however, they are more than 30 feet apart you will need more than one detector. If you have an enclosed garage directly attached to the home, then you should also place a detector within 10 feet of the internal door to your garage. If a motor vehicle is left running in the garage, then a dangerous level of Carbon Monoxide can quickly build up inside your home. You should also place a detector in any room situated directly above your garage. You must ensure you get your carbon monoxide detector installation height right. While some guides might recommend placing your detectors on the ceiling, I don’t agree. I suggest Carbon monoxide detector be attached to an exposed beam. The specific gravity of Carbon Monoxide is 0.9657 (with normal air being 1.0), this means that it will float up towards the ceiling because it is lighter than regular air. However, when a build-up of dangerous levels of CO gas is taking place, this is nearly always due to a heat source that is not burning its fuel correctly (motor vehicle exhaust fumes are an exception). This heated air can form a layer near your ceiling which can prevent the Carbon Monoxide from reaching a ceiling detector. For this reason, I strongly suggest that it is best to mount your detectors on the walls at least a couple of feet below the height of the ceiling. If your detector has a digital read-out, then I recommend placing it at about eye level so you can easily read it. Or if you have some other structure, like the exposed beam positioned below the ceiling level, then you can attach your carbon monoxide detectors to it instead. Certain types of smoke detectors do better in specific locations. Below we have outlined which types do better in certain places so if you want to not purchase the combo units that have both types of sensors, you will know which types to buy and where to put them. This type of smoke detector is best installed in stairways, upstairs landings and in offices. These types of detectors do best in kitchens and garages where a sudden change in temperature will set them off. These units can be put in any place in the house EXCEPT the kitchen. Always use a heat sensor detector for the kitchen because oil and grease can contaminate the sensor in a dual sensor unit and cause it to malfunction. Most smoke detectors don’t last longer than 10 years and should be replaced if they have reached the 10-year mark or you don’t know how old they are, it is best to replace all of them. There are some other things you can do to ensure that your smoke detectors are kept in good working order. Use the vacuum attachment and vacuum the sensor of the smoke detector every week to ensure dust does not get inside and mess with the sensors. If your home is not particularly dusty (some are dustier than others due to environmental factors) may only need vacuuming monthly. Test the battery in your smoke detector once a week or at the very least, once a month. Most have a test button that you can press that will set off the alarm. If it goes off then everything is working properly. If it doesn’t go off then the batteries need to be replaced. Having working smoke detectors can save you or your family’s life in the event of a fire. Fires are very unpredictable things and they can be caused by many different things. Having that protection can bring a lot of peace of mind. With the different choices available it can be a little confusing as to the type you should buy, but this buyer’s guide has taken care of that and given you the information you need to understand not only how they work but which ones work best. Having the right smoke detector in your home is very important in keeping your family safe but it’s not enough to simply have the smoke alarms on the wall. You need to make sure you keep up with testing them and changing the batteries regularly as well. Don’t forget to go over fire escape routes with your family members regardless of how young they are. It is important that everyone knows where to go, how to follow the safety guidelines that will save them (such as crawling) and where to meet once they get outside. Most importantly, teach children that they should NEVER hide in closets or under beds. It’s a device you have to replace what every 10 years. Spend as much as you need to be safe but don’t spend any more then you have too for a disposable gadget. The First Alert BRK 3120B features a dual alarm that uses photoelectric and ionization technology to sense both smoldering and flaming fires. Photoelectric sensors are better at detecting the presence of smoke coming from slow-burning, smoldering fires. Ionization sensors are better for detecting flaming fires. When combined into a single unit, these two technologies can keep you protected from different types of fires that may break out from a variety of sources. BRK products offer some unique features that give the smoke detectors added convenience and security. Using their patented OptiPath 360 technology, that provides 360 degrees of direct access to the smoke sensors, allowing any smoke in the air to reach the sensor more quickly. It also has two “latching” features that will use flashing LED lights to let you know which unit set off an alarm or needs a new battery. This unit does not include a carbon monoxide (CO) detector; however, it should be noted that depending on the types of appliances you have in your home, you may not need one at all. CO detectors should be installed in homes with fuel-burning appliances, fireplaces or attached garages but may not be necessary for every room of your home. For optimal coverage against carbon monoxide, fast-burning fires, and smoldering fires, we recommend installing a CO detector on every level of your home in addition to First Alert BRK 3120B units in every room. 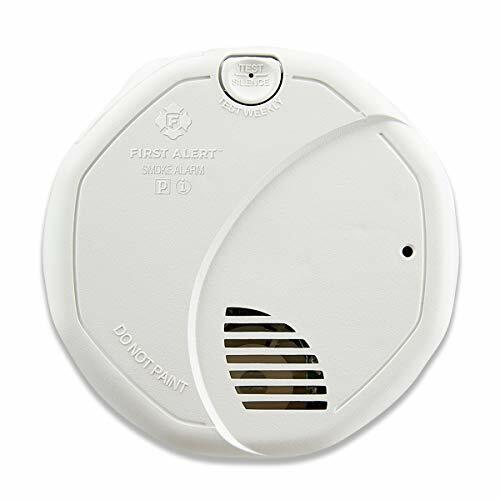 The First Alert BRK 3120B includes standard features, including an alarm hush button that can be used to silence an alarm that’s been tripped. The same button can be used to test the alarm function, and it’s recommended that you do this once per week to ensure the unit is free of defects and operating properly. Two silencing buttons, one for the alarm and one for the low-battery chirp. The front face of the unit also includes an LED indicator light that flashes when the backup batteries need to be replaced. This flashing light is accompanied by an audible chirp that goes off approximately once per minute when battery power is low. These Flashing LED lights identify which unit initiated an alarm or low battery alert. An additional feature of the First Alert BRK 3120B is a low-battery silencer feature that can mute the repetitive chirp for up to eight hours. The smoke detector’s alarm sounds off at 85 decibels, which is standard for all smoke alarms manufactured and sold in the U.S.
A key benefit of this hardwired smoke alarm is that it connects to your home’s electrical system and only requires battery power in the event of a power outage. Battery backup is provided by two AA batteries. Since battery power is only used during power outages, this means you may achieve greater longevity from your batteries. Battery back-up is designed to give 4,320 hours of service before needing to be replaced; it is strongly recommended that you replace your batteries at least once every 12 months. Unlike the vast majority of wireless smoke alarms, which operate independently of one another, the BRK 3120B can interconnect with as many as 18 other First Alert units, including smoke, CO and heat alarms. The maximum limit of First Alert smoke alarms it can interconnect with is 12. Interconnected smoke detectors cause all alarms to go off if only one of them is activated, which can better notify you to the presence of a hazard in your home. Interconnectivity is highly beneficial if you have smoke detectors installed in your basement, garage or closed-off back rooms that might make it difficult to hear if a single alarm were to sound off. Because this smoke alarm is powered by your home’s electrical system, it may not work in older homes that have not been retrofitted for smoke detector connectivity. Before you purchase a smoke alarm, contact an electrician to explore your options and to see if you would be better off opting for battery-operated smoke alarms. This smoke alarm comes with a manufacturer’s warranty of 10 years. Remove detector from the bracket, disconnect from house power (flat screwdriver to release plug latch), remove batteries, close battery tray, press and hold test button for 15 seconds. Reinstall batteries and close tray (it will chirp), reconnect to house power, reinstall detector in the bracket on the ceiling or wherever. Press Test button to ensure everything’s hooked up and functioning. It includes dual-sensor functionality that can detect smoldering fires and flaming fires. It lacks an automatically illuminating safety light. May not fit some existing brackets used by other models of smoke detectors, Older houses may not support the needed wiring. One of the best smoke detectors available, the First Alert BRK 3120B can interconnect with as many as 18 other devices and comes equipped with dual-sensor technology that provides maximum protection against different types of fires. The First Alert BRK 3120B distinguishes itself as one of the best-hardwired smoke detectors on the market today. Equipped with dual-sensor technology, this smoke alarm can alert you to the presence of smoke in your home emanating from smoldering fires or fast-burning, raging fires. It can interconnect with as many as 18 First Alert devices and comes with a 10-year manufacturer warranty. Unlike the Nest Protect, however, it doesn’t have some recommended safety features like a safety light or voice warnings. However, it is still a great product and is available at almost half the cost of the Nest Protect. It will maintain a sufficient vigil against smoke and fire, providing reliable protection for you and your family. Multi-threat functionality is critical when it comes to smoke alarms, and the Kidde PI2010 offers the best coverage available on the market today. According to fire safety experts, for maximum protection, you must use both types of sensing technologies. The Kidde PI2010 combines both photoelectric and ionization sensors to give your home maximum protection against fire and smoke, it is capable of detecting different types of fires. Its photoelectric sensor is triggered by the presence of smoke from slow-burning, smoldering fires, such as those caused by still-burning cigarettes. Simultaneously, its ionization detector is triggered by fast-burning, flaming fires. When combined, this dual-sensor capability provides you with the best possible protection in the event of a fire in your home. The Kidde PI2010 does not include a carbon monoxide (CO) detector; however, you may not need this if you do not have fuel-burning appliances in your home. When backup battery power runs low, the Kidde PI2010 emits an audible chirp every 45 seconds to remind you to replace the battery. This is accompanied by a flashing red LED light on the front panel of the unit. The included “hush” feature allows you to easily silence any nuisance alarms with the touch of a button for up to 10 minutes when it’s activated. After 10 minutes, if smoke is still detected, the alarm will sound off again. Furthermore, the alarm intensity is 85 dB so it’s likely that everyone will hear it. In addition to a hush button that the user can activate in order to silence nuisance alarms, the front face of the smoke detector houses a test button that can be pressed to verify the unit is in working order. This should be done once per week for optimal protection. Additionally, a pulsing LED light indicates the unit is functioning properly. It flashes every 30-40 seconds to indicate that the alarm is operating correctly. 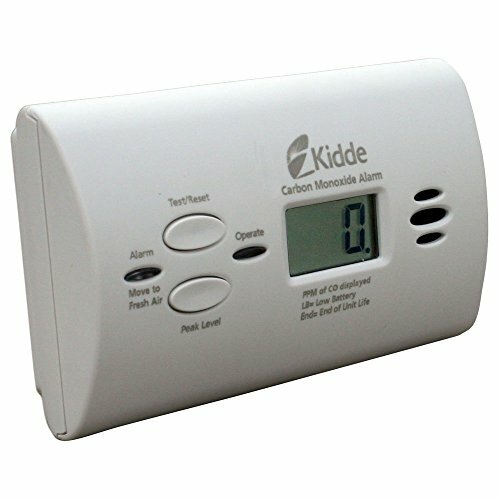 The Kidde PI2010 does not come with a combination voice alarm. It also does not include safety lights or a low-battery silencer. 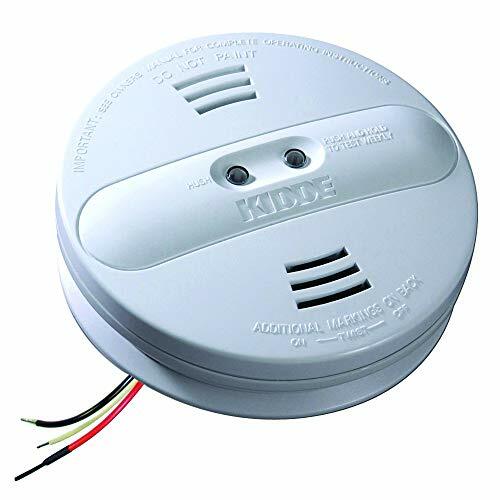 The Kidde PI2010 is a hardwired smoke detector that connects to your home’s electrical system. This kind of connectivity is more prevalent in newer homes and may not work in older homes that have not had their electrical system upgraded to modern code. If your home falls into the latter category, you may be better off purchasing wireless smoke detectors that operate on battery power and can be mounted anywhere. You can also speak to an electrician to discuss your options with respect to rewiring your home to facilitate a hardwired smoke alarm system. This smoke alarm weighs 14.4 ounces and its dimension is 7.8 x 7.3 x 2.8 inches, it is weatherproof and provides a dual sensor protection for your home and office. Like all hardwired smoke alarms and some battery-operated units, the Kidde PI2010 supports interconnectivity. This means that when one alarm is triggered, all of them will go off at the same time. This is an important feature that could alert you more quickly to a fire in your home, especially if smoke or fire is detected in an area of your home that would otherwise be difficult to hear. This smoke alarm can be interconnected with up to 24 compatible Kidde devices, with a limit of 12 smoke alarms in a single home. Bear in mind that interconnectivity only works with other compatible Kidde devices, such as smoke alarms, CO detectors, heat sensors and strobe lights. Because the Kidde PI2010 is hardwired, battery power is only used as a backup. It comes with 9-volt battery backup along with 120 VAC of power that ensures the alarm works even when there is a power outage. It also warns you when it is time to replace the battery. The unit switches to backup battery power in the event of a power outage in your home and resumes normal electrical operation when power is restored. As a result, battery use is greatly diminished, and you may not have to replace batteries as frequently – still, it is strongly recommended that you replace your smoke detector batteries at a minimum of once every 12 months. Dual-sensor capabilities alert you to smoke from fast-burning and smoldering fires. It has limited bonus features and doesn’t include a low-battery alarm silencer. The Kidde PI2010 ranks at the top of our list of best smoke detectors for having dual-sensor capabilities, top-quality support, and interconnectivity with numerous Kidde devices. The Kidde PI2010 is a dual-sensor, hardwired smoke alarm that can detect smoke emitted from smoldering fires and flaming fires. It can be interconnected with as many as 24 Kidde devices and is backed by a 10-year manufacturer warranty. Help and support channels are numerous, including email and telephone support for troubleshooting. 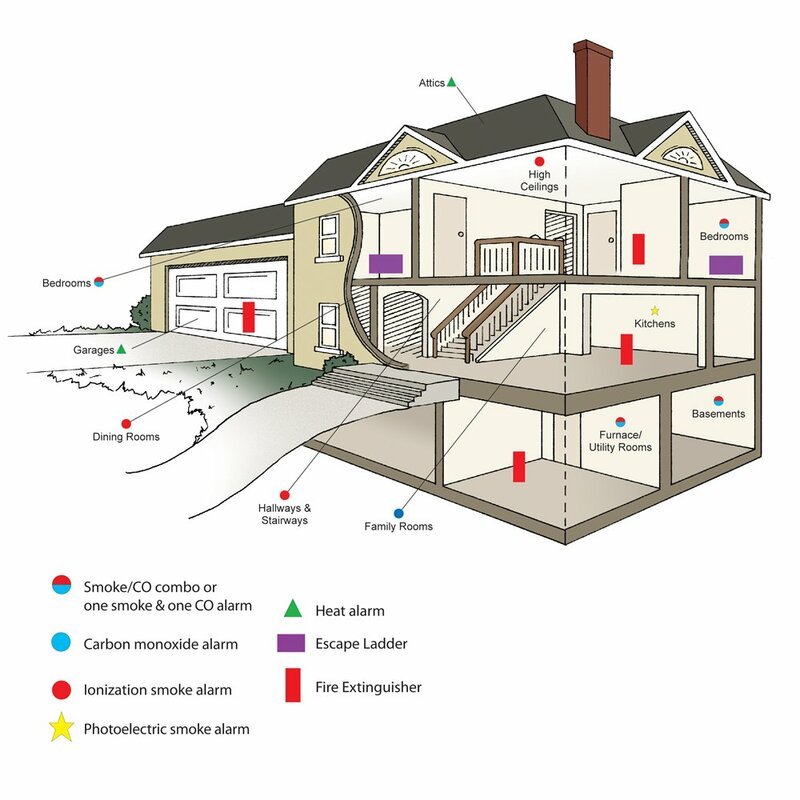 Using both ionization and photoelectric smoke sensors, you will have coverage over all types of fires that can start in a home. The best smoke detectors are versatile in their ability to alert you immediately to the presence of a fire hazard in your home. Photoelectric sensors are best at detecting smoke from slow-burning, smoldering fires before they have had a chance to ignite. Ionization sensors are more adept at sensing fast-burning, flaming fires. When combined, these two technologies offer the best possible coverage for any type of fire. This smoke detector does not include a carbon monoxide (CO) detector, but considering CO detectors are not needed in every home or every room, this shouldn’t be taken as a big drawback. CO detectors are only required in homes that are at risk. This includes homes with fuel-burning appliances, homes with frequently used fireplaces and homes that are exposed to carbon monoxide from attached garages. If your home falls into this category, consider installing one CO detector at every level of your home for efficient coverage. The First Alert SA320CN is utilitarian in design and offers many of the standard features present in most wireless smoke detectors. A single button on the face of the unit allows you to turn off an alarm that has been initiated. The same button can also be used to test the performance of the battery. An LED indicator will flash green once per minute to indicate normal performance. When the alarm has been tripped, the same LED flashes red to accompany the 85-decibel alarm. When the battery is running low, the smoke detector emits a chirp every 60 seconds. The First Alert SA320CN comes with an additional feature that enables you to mute the low battery chirp for a period of up to eight hours, which can be especially useful if the chirping starts in the middle of the night and you have no replacement batteries on hand. As a rule, you should change the smoke alarm’s batteries once every 12 months or as needed. 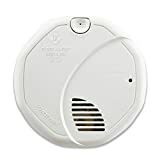 Interconnected smoke detectors are more effective at notifying you of a fire in your home by virtue of the fact that they all go off if any one of them is tripped. If you live in a home with multiple levels, this can be a potentially lifesaving feature to have. Most hardwired smoke detectors enjoy this functionality, but only a few battery operated types do. This means that if an alarm goes off in your basement in the middle of the night, you may not hear it immediately. To determine if the SA320CN is right for you, take stock of the layout of your home. You may decide to choose another device that is capable of interconnecting with other smoke alarms. 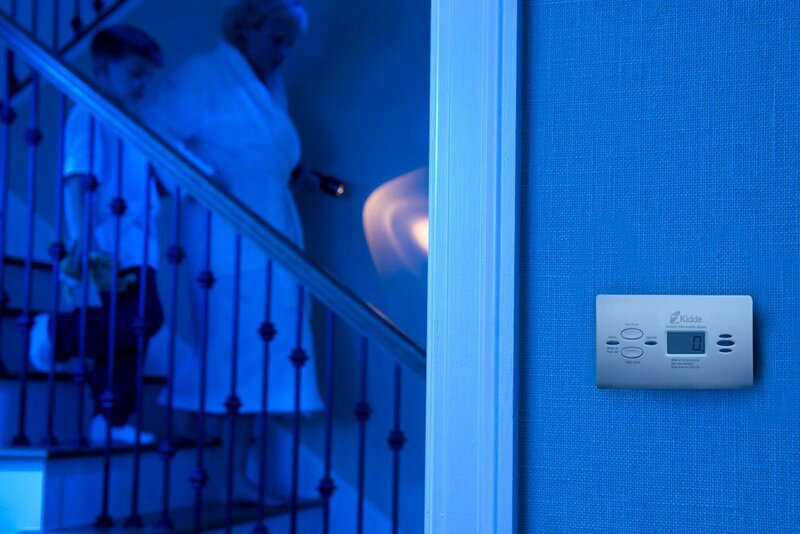 Since the SA320CN runs fully on battery power, you can install units anywhere they’re needed throughout your home. Older homes that haven’t been brought up to modern code with respect to electrical rewiring may not have the ability to accommodate hardwired smoke detectors. For this reason, opting for a wireless smoke detector could save you from that additional expense. The 10-year timeframe starts from the day you purchase the device. It comes with a combination photoelectric and ionization sensor for detecting smoldering and flaming fires. 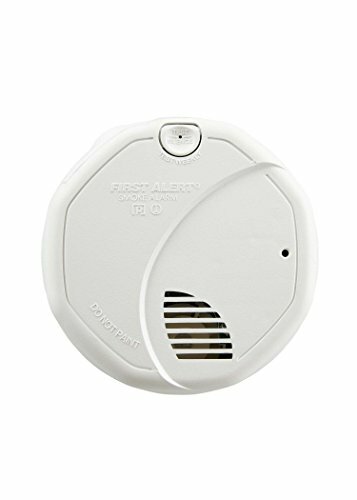 It cannot be interconnected with other First Alert smoke detectors. The First Alert SA320CN wireless smoke detector ranks among the best smoke alarms available for its ability to provide early detection of both smoldering fires and fast-burning fires. However, limitations in inter-connectivity with other devices limit its overall effectiveness. First Alert SA320CN is a wireless smoke detector with dual-sensor capabilities. Its 10-year manufacturer warranty ensures longevity, and its numerous support channels, including email, phone, and FAQs. It is our best No 1 or No 4 recommendation depending on your perspective, Nest Protect is the best High-End smoke detector you can buy today, outstanding detection capabilities, extremely easy to install, connect, set up and use. If you have the budget for it, we highly recommend you to go for it. If you are cost conscious value buyer, at more than $100 per piece, we will recommend you to choose the above detector. Read on for in-depth reviews of Nest Protect. False alarms were a big problem with the first-generation Nest Protect, so in this second generation, Instead of using both photoelectric and ionization sensors like other dual sensor alarms. Nest has upgraded the Protect from a single photoelectric sensor to a split-spectrum sensor that uses a traditional infrared photoelectric sensor and a blue LED sensor. This improved sensor can better distinguish benign debris such as dust or bugs from smoke particles, leading to fewer false alarms. In effect, it protects against both types of fires by using the more reliable photoelectric technology, and it’s currently the only residential smoke detector on the market to do that. If you do happen to get a false alarm, the second generation allows you to silence the alarm with your mobile device. Other new features of the second generation are its automatic self-testing, easier installation, and convenient battery access. It’s not just smoke this device monitors. It’s also a carbon monoxide alarm. The Nest Protect also includes an electrochemical carbon monoxide (CO) detector and heat and humidity sensors to differentiate between an actual emergency and false alarm triggers (like steam from the bathroom). This is especially important because carbon monoxide is invisible and odorless and can be lethal if you breathe it for too long. When dangerous levels of carbon monoxide are detected in your home, Nest Protect will sound its alarm and instruct you to evacuate the premises. There really aren’t any other dual sensor alarms that have a CO detector, but the Nest Protect manages to pack it all into its sleek design. All smoke alarms feature a loud blaring tone to alert you to potential dangers in your home. If you have multiple Nest Protect smoke alarms installed and networked in your home, alerts will sound on each of them, warning everyone in your home about the danger. The other impressive feature of the Nest Protect is its wireless connectivity. You can perform a safety/connectivity check, silence false alarms, and receive notifications on your phone through the Nest app. When Nest Protect detects threats in your home, it will send a notification directly to your smartphone or tablet. These real-time notifications allow you to handle the situation from wherever you are – you won’t always be home when disaster strikes – and contact local emergency services if necessary. The app is easy to set up, though users have reported some glitches, including lag time between the alarm going off and a notification on the phone. This can especially be a problem if you don’t have a reliable home wireless network or cell service. Nest products also require routers to support IPv6. Nest Protect was by far the easiest to set up, mount and connect because of its intuitive design and clear, simple instructions. It took just a few minutes from opening the package to having a fully functional smoke detector ready to go. The mobile app is particularly convenient. You can get it in both the Apple and Android app stores. But before you can control, monitor and test the device with the app, you must first connect it to your home’s Wi-Fi. Once it’s connected to the internet, you’ll have full access to the smoke detector and all its functions through the app. The Nest Protect Smoke Alarm is just one component of the company’s wider home automation platform. If you like the protection and convenience of this device, you may want to consider expanding your Nest network with smart thermosets and security cameras. You can also integrate third-party devices like fans, electric car chargers, sprinklers, lights, smart locks and more. They all can be controlled through the Nest app. And the stellar compatibly works the other way, too. You can connect your Nest to a number of other smart home and home automation systems, including Nexia, Vera, Wink and Google Home. You can even connect Nest devices to your Amazon Echo and control them with voice commands. Although the Nest Protect requires Wi-Fi to connect with your phone, it will still operate as a smoke detector if it loses connectivity; you just won’t get a notification on your phone. The Nest Protect smoke alarm has two power supplies. You can hardwire it into your home’s electrical grid, which provides uninterrupted power to the unit. It also has a backup battery in case there’s a power outage in your area. Be sure to check out your local smoke detector laws to ensure your home is in compliance. California state law, for example, requires hardwired detectors with battery backup in any home built after 1992. If you live in California or you have an existing wired smoke detection system, you might as well go with wired so you don’t ever have to worry about replacing batteries. Battery-powered detectors are good if you have a home without an existing wired system, or if you want to place a detector in an unusual area, such as a garage, workshop, or barn. A self-test called Sound Check automatically runs once a month. You can also run a manual safety checkup if you need extra assurance. The device offers early warnings before sounding the alarm. When you’re cooking bacon, a gentle voice will tell you “there’s smoke in the kitchen,” rather than a full-volume assault to your eardrums. It lasts 10 years, but the warranty period only covers two years of that time. Nest Protect is the best smoke alarm you can buy today. It’s easy to use, plus it has high compatibility, mobile notifications and more that make it an extraordinary product. In our tests of the best smoke alarms, Nest Protect earned the Top Ten Reviews Gold Award. It does so for several reasons, and chief among them is its outstanding detection capabilities. It is the only smoke detector we evaluated to pass every test we put to it. It’s also extremely easy to install, connect, set up and use. Additionally, it integrates into Nest’s wider home automation system as well as other smart home networks. It has an expected lifetime of about 10 years, but the warranty period only covers two years of that. The Kidde KN-COPP-B-LM is a top-rated CO detector will all the safety features you need to stay safe. It is sometimes also called Kidde KN-COPP-LPM – the “B” simply indicates that this is a battery only model – this one uses 2 AA batteries. One of the big advantages of this design is that you can mount it exactly where it is needed – no need to place it closes to a power outlet. CO alarms generally have a shorter lifespan than smoke detectors (5 to 7 years), and the highly accurate electrochemical sensors of the KN-COPP-B-LM are good for 7 years, and it comes with a 5-year warranty. It can detect a very wide range of CO gas in the air, ranging from 11 to 999 PPM (parts per million), and it stores the readings in memory. This range is quite useful because CO poisoning happens as a result of cumulative exposure – a small amount over an extended period can be dangerous – it’s not just a large amount CO exposure in a short time period that you have to worry about. It has a digital display that updates the current CO level reading every 15 seconds, and it also has a peak level memory that lets you know the highest concentration detected since being reset and the alarm will sound when it detects 70 PPM over 60 to 240 minutes, 150 PPM over 10 to 50 minutes, and 400 ppm or more for 4 to 15 minutes. It can be either freestanding or mounted on a wall with a wall mounting bracket, giving you lots of options for placement. Being completely independent of the main power supply, it will continue working during power outages which are one of the times when it’s most needed due to the use of non-electrical heat and lighting sources being used, or because of the use of gasoline-powered generators. Beeps when the batteries are low so it won’t run out of power without you knowing about it. While this is convenient, your device could cease to function if batteries die—putting you in danger. It is not supposed to use with rechargeable batteries – Kiddie recommends that only the following types of batteries be used: Duracell MN1500 or MX1500, Energizer E91, Gold Peak 15A, Golden Power GLR6A. 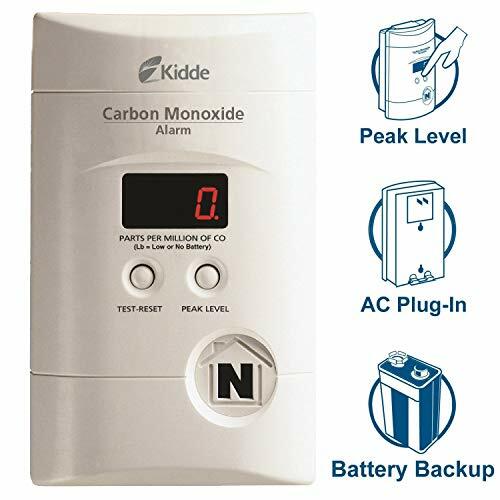 We rate the Kidde KN-COPP-B-LPM carbon monoxide detector as the Best in its Class of exclusively disposable battery powered CO alarms. Kidde KN-COPP-3 is the winner for best carbon monoxide detectors. It is the most popular Kidde carbon monoxide detector sold on Amazon and has thousands of positive reviews, it is also our favorite carbon monoxide detector. This CO detector is battery operated with three AA batteries. The digital display makes it easy to read and the device is simple to install. It has a 10-year warranty and meets the UL requirements. Digital display which updates every 15 seconds. The read-out also shows the highest levels recorded since you last reset it. The digital readout lets you see what’s going on even when the alarm is not beeping. The digital readout provides readings from 30 to 999 PPM (parts per million). It has a self-diagnostic function where an LED lets you know whether or not it is functioning correctly – you can also press a button for a manual test. A blinking dot in the lower right-hand corner of the display denotes normal operation, so you can trust that it’s working. In addition, you can test alarm function by pressing the test/reset button at any time to verify that the horn and electric circuitry are operating properly. The unit includes a peak level memory feature that will store the peak CO level sensed since the unit was last reset. The unit also features a low battery warning system. It lets you plug it into a power outlet which can make it tempting to plug it in near the floor – don’t do this because you will want to position it at eye level in order to read it easily and because most importantly that’s where you get the most accurate carbon monoxide levels detected. This carbon monoxide detector gets top marks for detecting high levels of carbon monoxide and very good ones for detecting lower levels. Display accuracy is good, though not top-notch like the First Alert. Though this is a plug-in unit, it includes a 9-volt battery backup to keep working during power outages. A 6-foot power cord allows it to be displayed on a table or shelf, too. Unlike the First Alert, it doesn’t link to other units, and one should be placed on every floor of the house. Users love how exceptionally easy to use this installation-free alarm is, though some warn that they were shipped older units. It’s backed by a five-year warranty. The Kidde KN-COPP-3 Nighthawk carbon monoxide detector has been on the market for over 7 years and has proven itself to be highly reliable. Smoke alarms are not a perfect technology—though the Nest Protect comes awfully close— having them in your home increases your security, regardless of which type or brand you use. Smoke alarms are not a perfect technology—though the Nest Protect comes awfully close having them in your home increases your security, regardless of which type or brand you use. We echo the recommendation of the IAFF and strongly suggest using photoelectric sensors as the primary smoke detectors in your home, but having multiple working smoke alarms throughout the house and at least one CO detector will increase your family’s overall security.